I was skeptical of Silk’n Flash & Go. But after quick, easy treatments that hardly hurt and wonderful hair reduction, I'm impressed. I figured this was another heavy cumbersome device that claims will remove my hair. Since it is my job, I had an open mind and gave it the old college try. For an IPL hair-removing device, I was intrigued and surprised. The device is very easy to use. You plug it in, wait a few moments for it to warm up and when the indicator light flashes, you press it against your skin and pull a trigger. It automatically checks your skin tone to make sure that it’s not too dark. That’s it! You will see a pulse of light. You may feel nothing or you may feel a quick snap, depending on the setting. Then, you lift the device from your skin and move it to another location. It’s very lightweight and easy to use- simple and to the point. I wanted to try the Silk’n Flash and Go on my chin line as the device can be used from the cheek line down. Since I have dark brown hair and fair skin, I'm definitely a candidate. First, I began at the ear line and worked my way towards my chin. There is a little uneasiness when the flash goes off because the light is very bright. I made sure to close my eyes after I got it to the area that I wanted to remove hair from because, with my fortune, I would be the one who looked into the light and ended up in another realm. After I got used to it, I was quicker and felt more comfortable with the light. I also decided to try one area on my shin. Well, just left of my shin. If you've ever done any kind of laser or IPL at home, then you know that boney areas always seem to be more sensitive. I wanted to see how it actually worked if I did the treatment and let the other hair around it grow. On my chin, I was afraid that I would feel the burn. There's little to no discomfort. I didn’t feel anything until I reached the highest setting and even then it was a quick snap. It didn’t feel hot, burning, or uncomfortable, and I wasn't left with any redness. I could do my treatment after a shower and put makeup on and go. I didn’t even need to put any makeup on because there was no redness, but that would be like leaving my home naked! On my shin, there were only two areas that I felt the snap. And, I only felt it on the highest setting. I didn’t experience any discomfort or redness there either after the treatment. I was simply pleased. The one thing I noticed was a burning smell. I don’t know if it is from the unit or if it was actually my skin. The smell isn’t pleasant but if it was from my skin, I could never feel it. I thought it might have been because the unit was new but I continue to smell it even after much use. How Much Hair Is Reduced? I’m the type of person who wants to see immediate results. If you’re like me, you might be a little frustrated, but please stick with it! On my chin, I started out slow and began the process at the lowest setting, level one (the device has five settings). I made it to the highest setting (five) and completely noticed results. After my first four sessions, I noticed that the chin hair was virtually gone (95% - 98% reduction). Every now and then I would see a rogue hair come out and when I went to grab it with my trusty tweezers, it would slide out extremely easily. Yes, I said slide out. There was no need to pull and I could not even feel it. 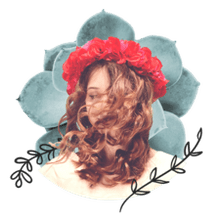 It seemed that the hair might have already been in the telogen or resting phase (see more about hair cycles) and the hair needed to work itself out. On my shin area, I was certainly surprised and in awe. Even after the first use, I saw a difference. The hair on the 1-inch wide area from ankle to knee was not growing hair like the other part of my leg. It was still growing but at a very, very slow rate. I continued with the one section of my shin and completed three sessions. I noticed that when I let the surrounding hair grow, I had a bald stripe! The treatment worked even though I hadn’t completed the recommended treatment times of six to eight times. This product is amazing! I am sure we have all heard the saying that time is money. It is true. So how happy was I when I realized that the treatments were easy and quick! It took me about two minutes to do my chin and about two minutes to do the one-inch strip on my leg. That was it! It takes longer to shave properly. I would be okay if it took thirty minutes because it would save me time from waxing and/or shaving, not to mention money. 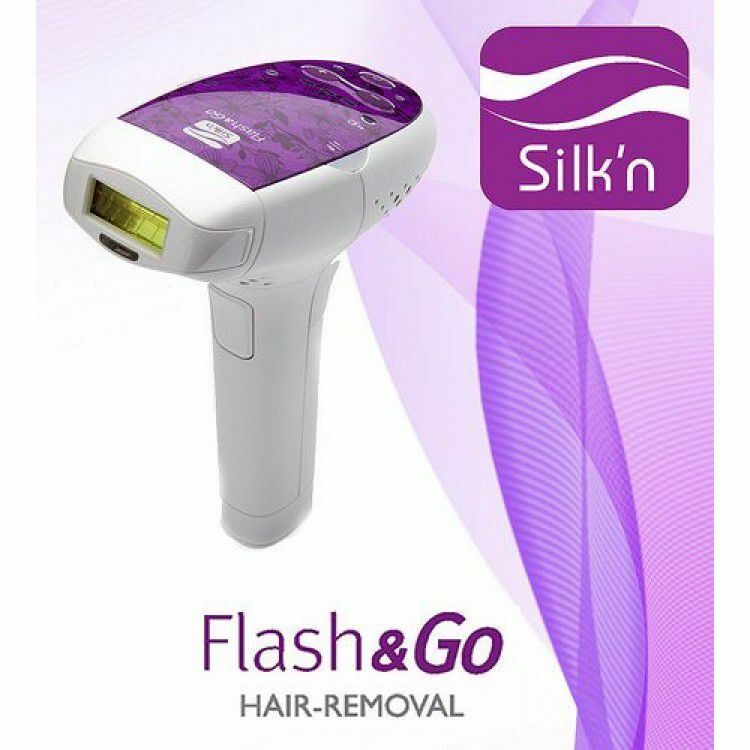 I certainly recommend the Silk’n Flash & Go. I thought I was never going to like another home laser or IPL device after I used the Tria Laser, but I have to admit, I'm a believer and fan!